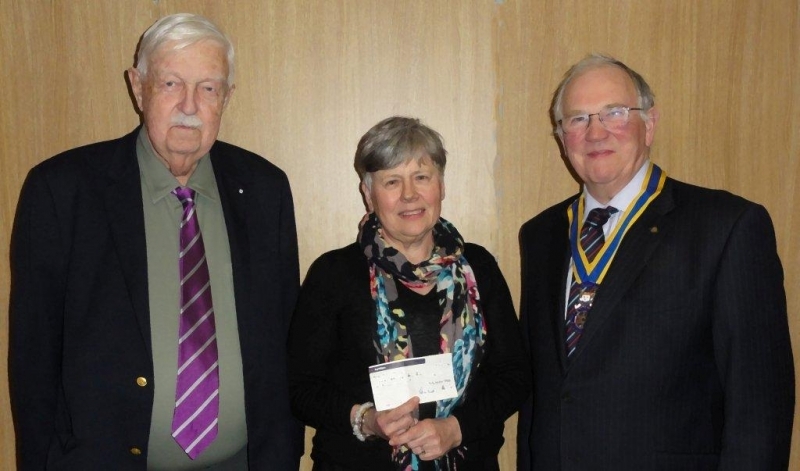 Canterbury CAB Chairman Ursula Wacher receives £1,000 from President Robert Boyd Howell and Dr David Barton of Canterbury Rotary Club to help with crisis in training new counsellors. There is vastly increased pressure on the Canterbury Citizen's Advice Bureau Counsellors because of massive funding cuts. Local Legal Aid Funding has been cut by £80,000 pa and grants from Canterbury City Council are being reduced by stages over the next three years. There is an urgent need to train more volunteer advisers in debt and welfare benefits and the donation will go towards supporting this essential training programme in Canterbury.